When it comes to the technical aspects of home construction and renovation, we’ve earned a reputation for excellence because of the approach we use on every project: we build it right, the first time. Every time. You don’t have to take our word for it – we’ve been selected as finalists by the panel of judges for some of the exceptional work we’ve completed here in Victoria over the past year. What is a VIBE award? Every year, the Canadian Home Builders’ Association hosts a gala evening for members of the construction industry in Victoria and Vancouver Island. 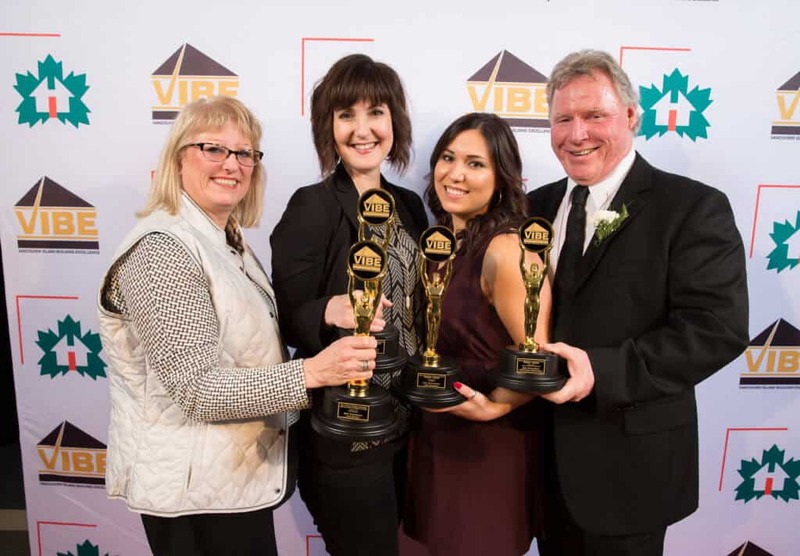 The Vancouver Island Building Excellence (VIBE) awards celebrate excellence within the construction industry, and MAC Renovations has been proud to showcase our accomplishments over the past three years. The MAC Renovations team brings a substantial and diverse amount of experience to each project, from the initial planning stage, through design, project management, construction, and finishing, and every step along the way. We’ve been renovating homes for the people of Greater Victoria for over three decades, and we’re looking forward to sharing our new location with you very soon. We’ve been selected as a finalist for Renovator of the Year because we are actively working towards building a better future for our company and our community. We are environmentally responsible and engaged in conservational programs. We are active in the building community, providing input and direction on various boards to plan out the future of construction in Victoria and Vancouver Island. We recognize the importance of development and training, and we’ve created internship programs for students at Camosun College; apprenticeship training and tuition programs for labourers; education allowances for all employees; and master’s certificates for project managers. We offer intelligent business practices, such as our aging in place approach to design. We embrace innovation within the industry, using 3D modelling to bring clarity and vision to our designs. We are part of the community and happy to support a wide range of charitable organizations and local teams. And we’re pretty good at designing home renovations for our customers in Victoria. 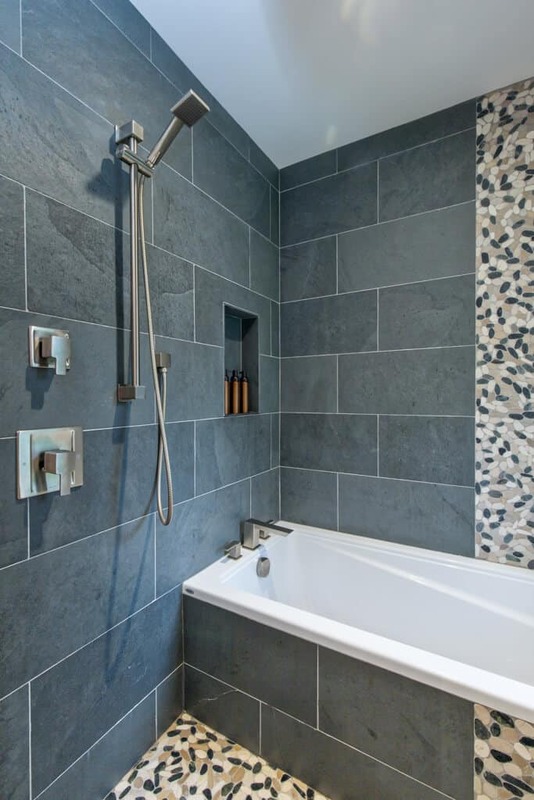 Our entry for the Best Single-Family Bathroom Renovation was for a homeowner looking for a space to relax and destress in the privacy of the master bedroom, with an update to the main bath to make it functional and elegant. The homeowner initially wanted a double sink in the master ensuite, but due to space limitations, they would have had to sacrifice storage to accommodate a double vanity. Instead, we proposed a trough sink that allows two people to use it at the same time while providing a comfortable storage area for necessities. Little touches, such as sliding barn doors, pendant lights, and niche storage to hold shower supplies, helped bring the form and function together, creating a space to relax and unwind at the end of a hectic day. 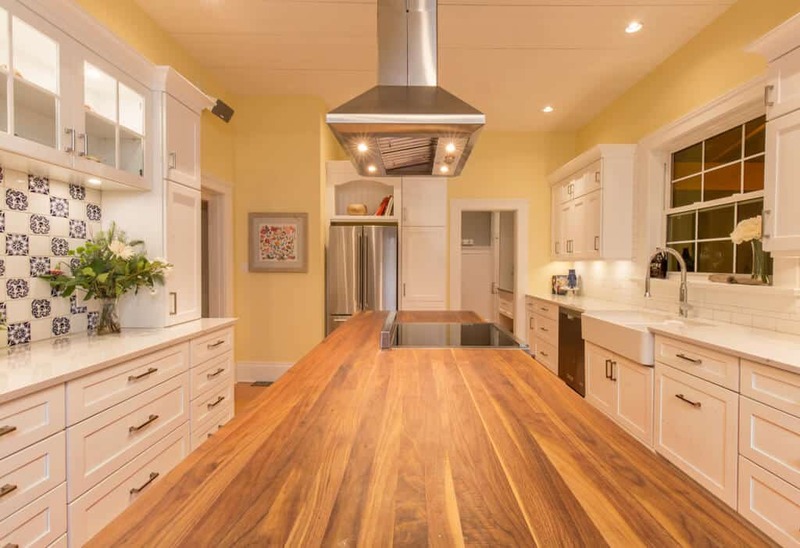 Last year, we were invited to update a cute home in Saanich for a busy, energetic family. They’d outgrown the original space and needed a modern look with a more efficient layout. The tub itself presented a challenge – it was too big to take out of the space without removing walls or damaging the tub, so we opted to leave it in place and managed to work around it. We even had it reglazed without removing it from the room. 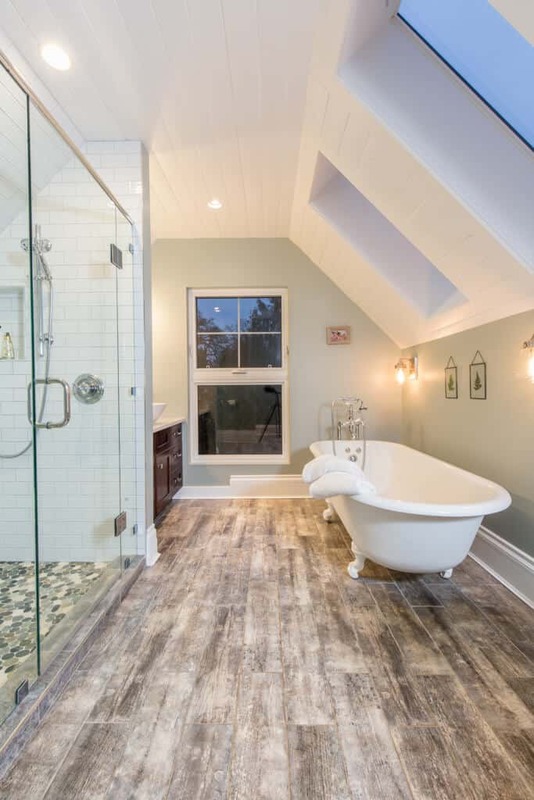 With the natural light entering from the new skylights directly above the tub, it’s almost as if you’re bathing al fresco. The new kitchen is an extravagant departure from the previous incarnation. Stainless appliances and bright white cabinetry, perfectly contrasted by the American Walnut countertop, bring usability and style together for this family. The handmade tiles on the hutch backsplash are gorgeous, and the farmhouse sink, mirrored by a smaller version in the laundry room, provides continuity, functionality, and beauty throughout the space. “The renovations fit the homeowners perfectly – it was a challenging design, but we’re very pleased with the way everything came together,” said Terri. Visit our Facebook page to see the album of projects selected as finalists for the 2018 VIBE awards. Leave us a comment to let us know which designs you like best. To find out what we can do with your next renovation project, contact us to learn more.